After a recent morning spent playing restaurant ping-pong via email with my friend Dorie, it dawned on me. We were trying to create an eating itinerary of traditional French bistros for a pair of retired chefs visiting from Oklahoma, and it proved to be a daunting task. Why? These men were coming to France to eat epic Gallic grub—you know, blanquette de veau, boeuf bourguignon, and coq au vin—and even with the difficulty of summer opening hours notwithstanding, it startled me to realize there’s just not a lot of that on offer in Paris anymore. The explanation for this surprising state of affairs is that Paris is in the midst of an accelerating process of culinary displacement that’s sidelining traditional French food. These days, in fact, it’s a lot easier to find an Italian or a Japanese meal in a popular Paris neighborhood like Saint-Germain than it is a traditional French one. There are many reasons why culinary displacement, or the substitution of one cuisine for another, can occur in any large city. Immigration can add a new ethnic kitchen to a gastronomic landscape, food styles change, economic factors favor one cuisine over another, and of course there are food fads and trends. In some circumstances, culinary displacement can be an exciting and rather wonderful thing. For example, I consider the relatively recent availability of good Mexican food in most large American cities to be a good thing because it’s one of the world’s great cuisines and its availability has added rather than subtracted something to available restaurant choices in most American cities. Similarly, the spectacular array of ethnic cuisines on offer in London today has made it one of the world’s great food cities, and they’ve enriched the city’s restaurant offer rather than diminishing it. What’s happening today in Paris, however, is different. Instead of complementing the existing restaurant offer, many of the new kitchens and restaurant formats are cannibalizing the city’s gastronomic landscape, and something really precious—notably traditional bistro cooking—is being lost. The upshot of all this is that the traditional Paris bistro, those cosy places with lace curtains, red-checked tablecloths and the rich soothing smell of long simmered cooking that greets your nostrils when you step in the door, those uber-French tables that are the determined destination of thousands of tourists sitting with their knees pressed up against airplane seat backs as I write these words, has morphed into a rare species which often charges stiff prices for a sincerely sepia experience of traditional French food. Today, rather than being the ballast of the Paris restaurant landscape, ‘real’ bistros are now marketed as nostalgic curiosities where you often pay a steep price for the privilege of eating ‘real’ French food. Culinary displacement is occurring at other levels of the Parisian food chain, too, since for every excellent neighborhood eat-in or take-out traiteur like CheZaline that opens in Paris, a dozen more Subways seem to appear every month and the business districts of central Paris have become dominated by sleek soup-sandwich-salad places like Cojean. The latest challenge to traditional Parisian eating habits at the casual-dining end of the spectrum, however, is the sudden and huge popularity of hamburgers. It’s easy to see their appeal to restaurant investors. Hamburgers are easy to make, popular with both locals and tourists, and are quickly consumed, which means you can flip tables more often. Make them with pedigreed ingredients and you can charge a premium price, too. So what is burgermania in Paris displacing? It’s probably nibbling into the margins of cafés that do lunch menus based on salades composée and steak frites and also drawing trade away from bakeries and traiteurs which sell such French classics as the baguette jambon beurre (buttered baguette filled with ham), quiche and salads like carottes râpées or céleri rémoulade. Every time a Parisian choses a burger, he or she is not choosing something indigenous, whether it’s a café salad or a crêpe. A yen for novelty is of course normal, and I love a good burger as much as the next man, but there’s no doubt in my mind now that galloping imitation bred by the success of the first and rather welcome burger places in Paris is putting the city’s casual dining scene in the same threatened category as its traditional bistros. So can or should anything be done about the culinary displacement that’s making Paris less Parisian? While a certain degree of gastronomic evolution is natural, there’s no doubt in my mind that something precious is being lost, and happily others have noticed, too. The whole idea of chef Yannick Alleno’s bistro Terroir Parisien, which uses produce from the Île-de-France to prepare classic Parisian dishes, is to promote the idea that Parisian cuisine really does exist and needs to be promoted and protected. Chef Alain Ducasse has also become something of a white knight by recently adding Allard in Saint-Germain to his cluster of historic Paris restaurants that already includes Benoît and Aux Lyonnais. However, a lot more needs to be done to protect and preserve certain delicious and unique elements of the Parisian gastronomic ecosystem. France desperately needs to overhaul its tax structure for the country’s entire sit-down restaurant industry to make business conditions more favorable, and the city of Paris could create a “Un Vrai Bistro de Paris” label like the one that exists for the ‘real’ bouchons (Lyonnais style bistros) in Lyon. And how’s about an annual Parisian food festival to promote and celebrate the city’s gastronomic heritage? And maybe the major French food magazines will stop offering recipes that involve spooning things into water glasses and return to proposing those that appeal to serious cooks. Ultimately, of course, the choice remains with Paris restaurant-goers, since choosing a restaurant is a consumer choice. So in the same way that you can lead a horse to water but can’t make him drink, you can lead a Parisian to onion soup but you can’t make him spoon it up. Just saw this. I think you missed two important reasons why classic bistro fare is becoming harder and harder to find. The first is that the people who ran these places grew up in an era where there did not have access to higher education and there was not a lot of opportunity in life. Either a husband or wife was a good cook, did not have professional cooking training, but could serve a good enough cassoulet or sauté agneau to make a middle class living. But young people now go to college and the last thing they want to do is to remove dirty plates from a table. And those who do go to culinary school and want to cook like Alain Passard or Ferran Adria. 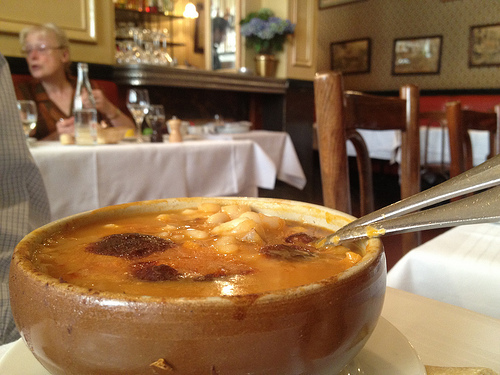 The other side of the coin is that the idea that people are clamoring for cassoulet is more of a romantic notion than it is a reality. to eat it. Am a big fan of your blog, AL, and really enjoy trying some of the newest Paris restaurants you’ve been to. Re the disappearing classic bistro, what was the end of the story? What were the bistros on the classic bistro itinerary that you and Dorie finally cooked up for the visiting Oklahoma chefs? 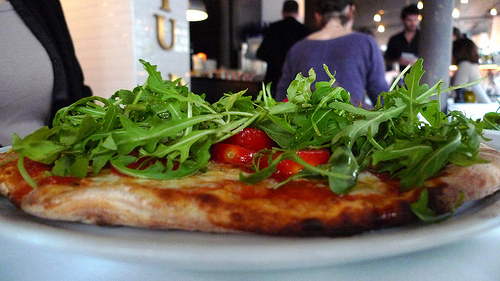 Your five favorite bistros from the April 19 post, plus…..? I’d love to follow that trajet myself! A beautiful summary! It’s exactly what we found on our recent ten-day Paris visit. The problem is global and relates to the whole cultural scene. It’s pointless to resist and hopeless to reform–all you can do is take advantage of the internet to find the remaining obscure corners of unostentatious authenticity. I think that with the exception of areas like this, it may be that restaurants in popular zones are being forced – or lured by the weakened economy- to offer more food that tourists are comfortable with. Everyone knows what a hamburger is, so adding some foie gras or unusual cheese makes it “French” but still appealing to the unadventurous. On the other hand, ris de veau may be a hard sell to those with steak and potatoes tastes. One of the best meals we had in May was at Clandestino, a hole-in-the-wall place near Gare de Lyon that serves food that might be called fusion, but seemed mainly French with Asian influences. More important than the sometimes offbeat ingredients, the preparation was superb. Unfortunately, many visitors, particularly Americans, have never experienced this kind of artistry, so something that deviates from their Capital Grille (or worse, Olive Garden) experience. Still, food tastes are always evolving, and chefs want to experiment with new flavors and presentations. 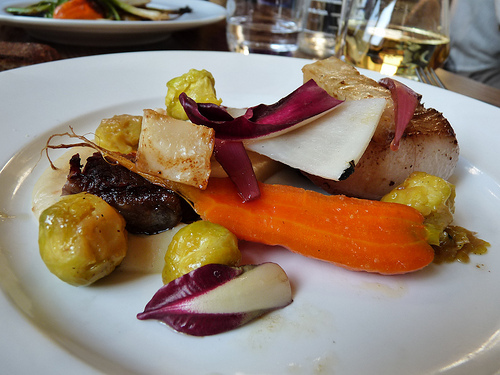 The modern awareness of nutrition and health may be causing some to cast a wary eye at blanquette de veau, although an occasional dish of it shouldn’t be feared. But in response to this and other influences, I have confidence the chefs of Paris – particularly in small, individually run places – will find a way to retain the important characteristics of their cuisine while adding modern twists. One thing you mention that could help would be to develop a marketing approach that emphasizes the reasons diners might want to visit restaurants that adhere to high standards. I know this is seen as demeaning in many quarters, where “cook it and they will come” has been the approach, but the world is changing and some education for consumers would be helpful. Many hundred years as capital must have left some “inventions” – non? Lapin en gibelotte, Bouchées à la reine, Tete de vau vinaigrette, Navarin d’agneau, Poularde à la Briarde and onion soup? As far as concern a french guy from Lyon it s well known in France that Paris was never a really gastronimic place un France. What are the real parisian specialities other than Paris-beurre for speed peoples or bistro of very regular food? What are the terroir of île de France?!! Hello, and what a nice blog you have! The issue here is globalization. Only a small percentage of this has been positive, but overwhelmingly negative, and food is affected. I think all sides are at fault. One is immigration. Paris has too much and from people very far from French culture, so they don’t appreciate French things and don’t care. They’re just there purely to work and to send money elsewhere. Another is, like what was mentioned in the post, that there is no preservation or “controlee” type of aspects in Paris just as Lyon has been doing. That’s too bad because Paris is supposed to be a key world city – meaning acclaimed world-wide and held highly and famed for its culture, NOT the other notion where there’s no native culture and is a cesspool with every ethnic group goes there and transfers their ways there. There’s a huge difference in the terms world city or “world city” that people must differentiate. The key is to be a key world city/country but still being their culture, not wiping it away and becoming generic or bland. The other fault is that for some time now, I’ve been told that the Parisians (the actual French) have been avoiding local restaurants in that they simply feel bombarded by too many foreigners and tourists, and then they have noticed that the quality or selections of food has regressed. So they are cooking and dining at home. Then there is the greed part (again, directly globalization) where the disease started by foreign companies/heads of wanting work work work-make them rich, and reducing the customs such as the traditional slower French lunch. This has affected cuisine and choices. Then finally, like elsewhere, the economy. Since globalization has made things cost too much, locals can’t afford to eat out, and maybe they don’t even have work! So it goes back to them cooking and eating at home. I’ve travelled and Paris was always one of my dream places to visit, but I don’t think I will now. I’m considered “young” but I was born too late, and I will never get to see the Paris, France from before the 80s or 70s, which is the one I want to see and experience and what people around the world envision. I’m from Toronto, Canada, so my attitude these days is, why would I want to visit other places that are the same story as Toronto and are globalization/multicultural cesspools with the same routine and no real culture or preservation? Globalization is bad for real tourism and true tourists…..and bad for cuisine. It doesn’t mean I won’t visit France overall, though. Again, a great blog you have! I think perhaps what the city is experiencing is a bit of catch up to a revolution in the culinary arts that has been underway for sometime in Europe and around the world. Think of the explosion in Spain and Denmark or in the city of London, which you referenced. Surprisingly, and perhaps to her credit, Paris remained somewhat untouched and/or uninterested during this expansive time of foodie experimentation. If Paris wants to be considered cosmopolitan, and perhaps it does not, then these are necessary growing pains that do not necessarily portend the eminent decline of traditional Parisian/French/Regional cooking, but rather represents a deep and perhaps long overdue, inhalation of innovation, experimentation and a general broadening of a Parisian palette that was a tad bit mired in stagnation. Strangely the city seems to somehow remain behind the curve in these things (although again perhaps to her credit). Dare I say that the city’s locavore movement and even this very blog were both a bit late to the party (not to mention the recent arrival of food trucks and cocktail culture, both of which I understand you may bemoan, but it is hard to deny that when done right – and in many places they have been doing so for some time – these are indisputable contributions and innovations to the dining/feeding experience). Meanwhile as all of this was blossoming elsewhere, only a handful of Paris-based food bloggers can be credited with keeping pace with the culinary tempo taking flight internationally. What is being observed now, is most likely just the simple swinging of the pendulum. And anyway it is only a matter of time until the utterly unrestrained, uber-earnest and slightly unhinged celebration of all things ‘heritage’ and a “rerereturn-to-a-simpler-time,-way-of-life-and-food” takes full, death-grip hold of Paris restaurants just as it has already unfolded o’er yonder, heralding a return to that which some seem nostalgic for. Funnily enough, it may be yet another foreigner, Jody Williams – opening a clone of Buvette in Paris next month – who might help unleash such a frenzy. Excellent. Thank you for this article that point all the questions. Another problem is to define what’s a bistro. I think the way tourist see it may differ from french way. 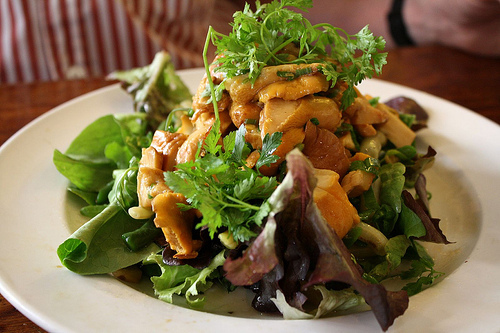 It can be popular or having a more “cuisine bourgeoise”. Officialy, it needs a bar. 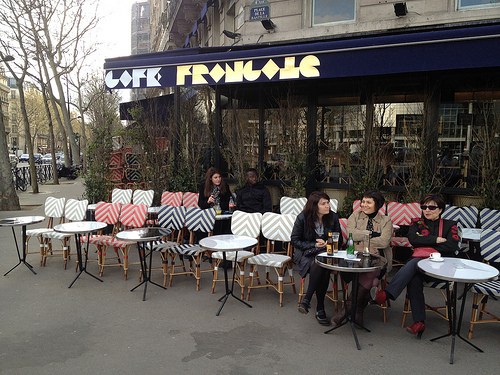 We have now new bistro in Paris but bot the cliché tourist go to in St Germain that can’t interest parisian anymore. The food there is often industrial and heated! I don’t see this as a loss because we don’t eat like in the 19th century, too fat, too big, too old. Otherwise its a museum. In Lyon, the bouchon label creates conflict and nobody agree. In those new places, the wine offer is quite better and the reciepies lighter. And chefs like to bring some creativity and personal touch. So, to make it real, you can find this spirit in la rue Paul bert with several real bistro, some café like “Richer” or more elaborate in Vivant Café (the annexe of his restaurant) for instance. The bounders mixes, between a café, a bistro, bistronomie (bistro that serves gastronmic dishes for a bistro price and service) and even modern lunch canteen with traditionnal menu (like the one that serves traditionnal “Raviole de Royans”, small franch cheese ravioli pasta from that area). Anf for this burgermania (or hot dog, kebab, etc), waht is interesting is that often, there are done in a french way, that means with real artisan sourced produces like old cheese and meat breed. So we’re not entirely over! Nice article. I mainly agree but your definition of “bobo” is a bit…reductive. It is often said like an insult in order to stigmatise some people who have money but behave like “bohèmes”. It is a criticism of organic-ethics-concerned people accusing them to adopt these ideas and concepts to be trendy, differentiate themselves from the other people without truly being concerned. The idea is that you can “afford” to be bobo because you have money and you think your are as a matter of fact entitled to give the others lessons. It is also, in a way, the evolution of the “soixantehuitard” (people from Mai 68 revolution). It criticizes the ideals of relieving rules, barriers, and promoting personal freedom free from social pressure, for example. There are less words in French than in English to categorize people’s styles and behavior, that why, mostly, when someone says “bobo”, each one understands its own definition and makes the concept blurry. It is 100% sur that this word is negative. Tipically, the “bobo” you describe are more like “bourgeois” or “jeunesse dorée”(even if they are younger). A bobo is very Parisian and is always looking for the “nice little place nobody knows and which I will only tell my friends making them feel very lucky to get the adress from me”. The concept of the place has to be creative, not mainstream at all and preferably defending something (concepts, ideals…). Example: Le Rosa Bonheur. So boboooooooooooooooooooooo! I let you google it. Sorry to be that long! 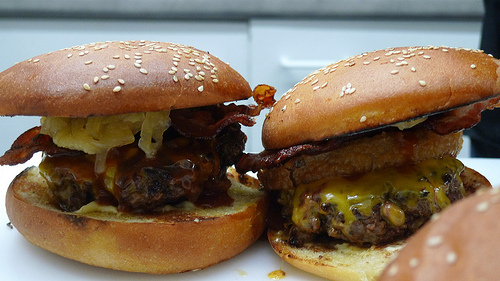 The world’s first hamburger made of meat made from scratch in some laboratory! This was all over the news a few days a go. Rarely if ever do the closing of a bistro hit the news in the same way. What I notice is the pairing of man made/artificial meat with the Hamburger. No, we do not need more of that kind of “food”. charm and ambience, Paris still has a lot left to offer – go find it! You’ve confirmed what I feared. Our annual trips to Paris came to a halt when the economy collapsed. 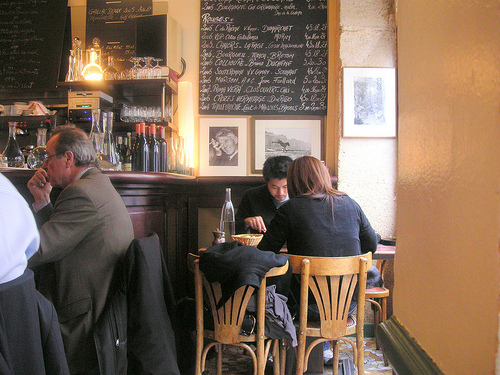 We’ve become “arm-chair” travelers on the internet, and it seems with each Paris blog, the news is not good for us who fell in love with Paris and her restaurants so many years ago. Bravo. I despair at the current food scene. These days one cannot tell what city, state, province or country one is in by looking at menus. It is all the same no matter the city or the country. Please stop! 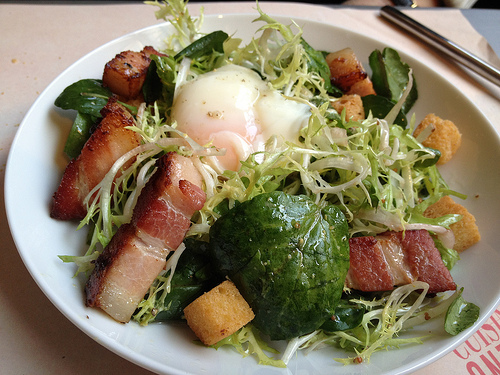 I want to eat fresh food that has been cooked in the chefs kitchen, not sous vide or canned. I want the food to be of the style of the region I am in. Oh, wait. It does not matter what the customer wants. Never mind. My husband and I spend considerable time in Paris, and increasingly finding that some of our favorite restaurants are Asian, Indian or Middle Eastern. Not that we do not like French bistro cooking, but we do live in the southwest of France and have great food in our home town. However, I always want to have a French meal or two while I am in Paris — and of course there are plenty of establishments calling themselves bistros, but whose food is really not that great…. Last year, I bought a book by Sharon O’Connor “Bistro” – Swinging French Jazz, Favorite Parisian Bistro Recipes, where she is profiling French bistros – a couple of them being in the US – including their address, description, and recipes. I found that her section on the recommendations in Paris was quite good. This last visit to Paris, I have noted all the ones she listed and we visited a few, among them Au Pied De Fouet, Allard, Astier. I must say that for someone visiting Paris, this is a good guide, especially if you do not have too much time to research. I cannot speak for all of them, since we have not eaten in all of them yet (but we will! ), but the ones we went to, we were very pleased. Another thing I noted about being in Paris- it is worth while to take a metro and go further off the center, into more residential neigborhoods — they have some very nice, very local bistros. Good areas are near Metro Michel-Ange Auteuil, Porte de Saint-Cloud, Muette. I used to love Benoit, and I don’t feel that M. Ducasse “rescued” it at all. Many of the dishes we loved have vanished from the menu, equally the feeling of warmth and welcome upon arrival, and the last time we ate there (October 2012) the service was so confused and haphazard that we left without finishing our meal. Unforgiveably, the bread in our bread basket was wet. On the other hand, Allard certainly needs something. Somehow I think food is like a language. Culinary traditions change, and French food or Parisian food (if it ever existed) has been influenced by all the different culinary traditions which coexist in Paris. In other words the typical French cuisine is no more the typical French cuisine, or to better say, is something different from the conventional idea of it. Really interesting piece. As an expat myself, I can’t help but think about the role of expat bloggers in English plays into this equation. By nature I tend to find the French much more private (not touting the latest and greatest resto on their FB page), and French writers are writing to a French audience. Meanwhile, Anglophone writers reach expats, tourists (they’re ready to eat out!) and a large population of the French. A lot of non-French restos get picked up by anglophones as we crave a taste of home, or something that is non necessarily French. The way word spreads it also gets into the larger publications. Basically, in this cycle of looking towards what’s the next big thing there is not much to preserve the French tradition or look to the past. … I fully agree I’d like to see the world beyond burgers, and perhaps some lighter fare. I really enjoyed David Lebovitz’s post on ideas for French inspired food trucks as another idea of celebrating culinary traditions: http://www.davidlebovitz.com/2012/04/10-ideas-for-food-trucks-in-paris/ France is king of having specialty stores. The menu need not be vast, just a couple items done right!… Another question I have is regarding the coffee shop trend. Is it not possible to blend good coffee with Parisian tradition (something a bit less Brooklyn, like with an awesome old zinc bar)? As it is seems to be one or the other. Really great piece Alec! You raise all the right questions. I felt this attachment to regional cuisine strongly all throughout the Basque Country and while more modern restaurants have opened and may attract a following, tradition maintains pride of place on the table there. Very refreshing to see.